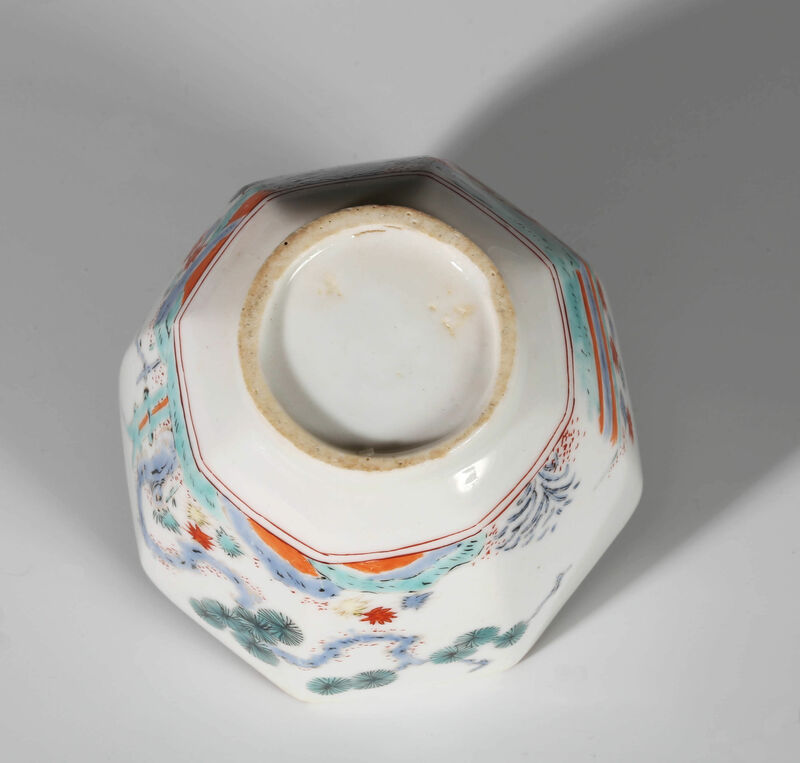 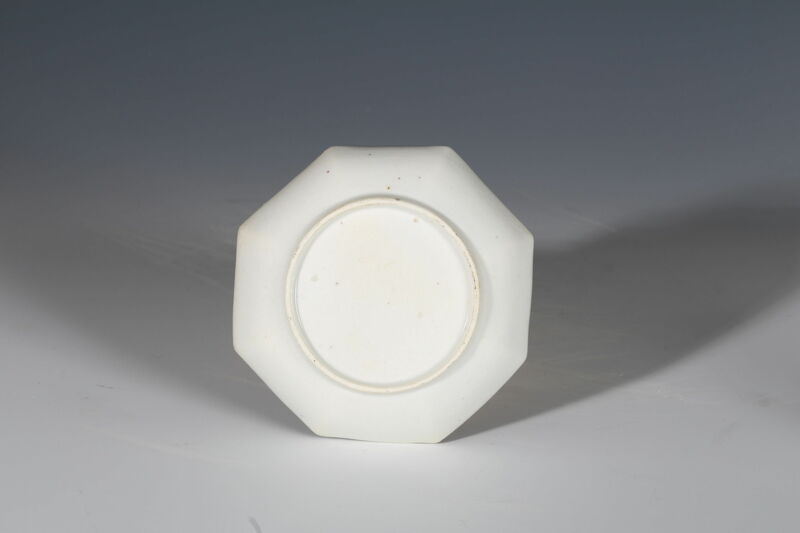 Kakiemon porcelains were held in the highest regard in England but not appreciated for the spare elegance of their design. 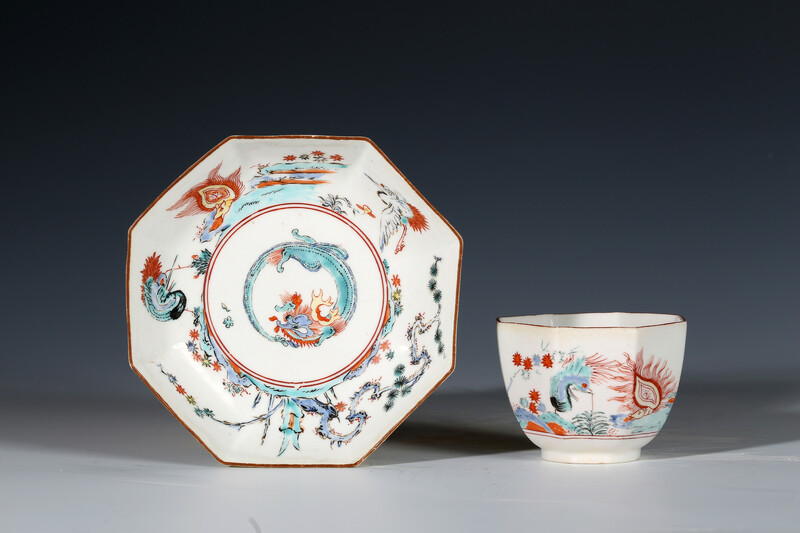 This cup and saucer is a wonderful example of the English trying to ‘improve’ on the Japanese originals by filling empty space with an anthology of designs on a single piece. 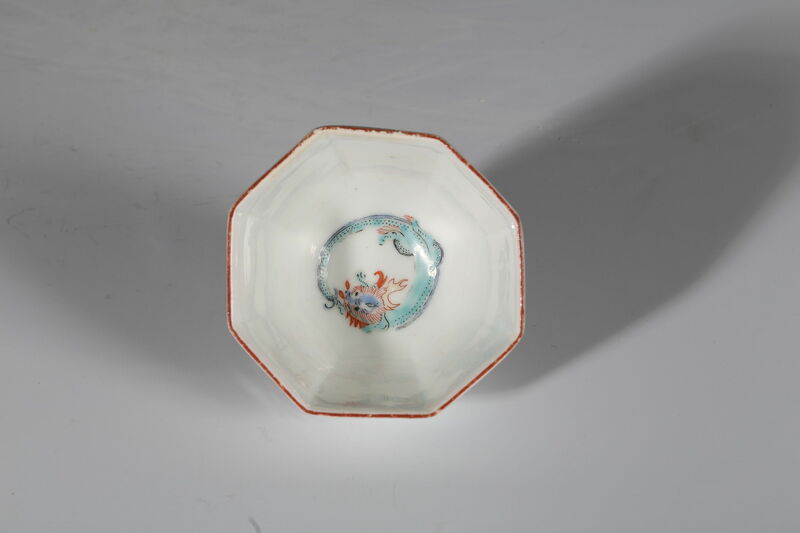 This teabowl and saucer combines the motifs of a dragon chasing its tail, the ‘flaming tortoise’ (actually a turtle symbolising longevity), two cranes, and the three friends of winter: pine, bamboo and prunus.